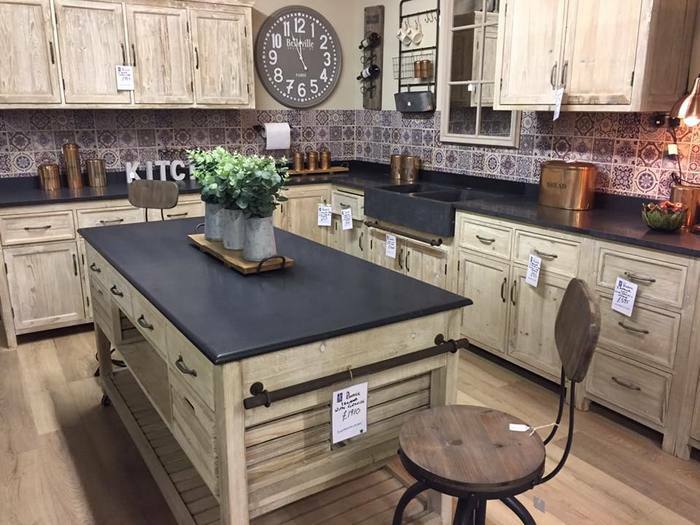 A rapidly growing kitchens business based in North Yorkshire has competed a £20,000 refurbishment of its showroom. Oak Free Standing Kitchens, which has its showroom and workshops in Leeming Bar, near Northallerton, has given the kitchen showroom a new look. The company has also added new kitchens to it bespoke range, which sells all over the UK and now in France as well. 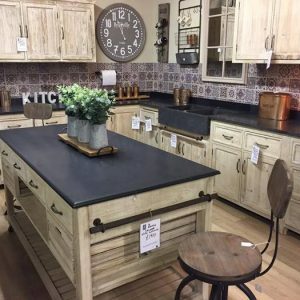 They include a rustic pine kitchen range which is hand-made in Thirsk to fit in with the company’s other rustic furniture. The business, which employs skilled craftsmen, produces high quality and unique kitchens using the very best oak and granite. Managing Director Jason Hadlow said: “We have invested £20,000 in the refurbishment of our showroom, which reflects the confidence we have in the business. “We have been expanding rapidly and are already creating kitchens for customers the length and breadth of the UK as well as recently selling to customers in France, which is a new thing for us.